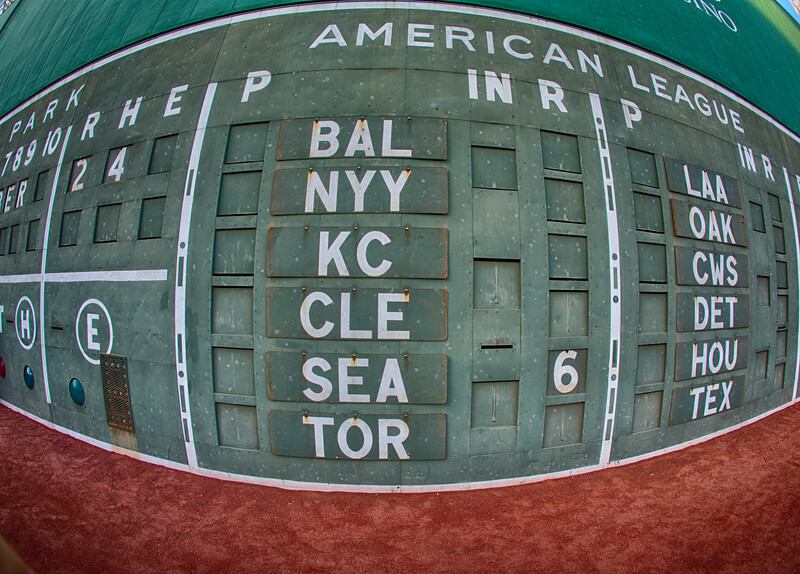 The Fenway Scoreboard | Note the Dots and Dashes. Morse code for Tom A Yawkey and Jean R Yawkey Owner 1933 - 1976. Also check out all the dents from fly balls.